Tasty and nutritious Omega-3 treat supplement for dogs in all life stages. Omega Nuggets treats are an advanced veterinarian formula of EFAs and Antioxidants – carefully chosen for their functional nutrient profile and synergistic effects for overall health and well-being. 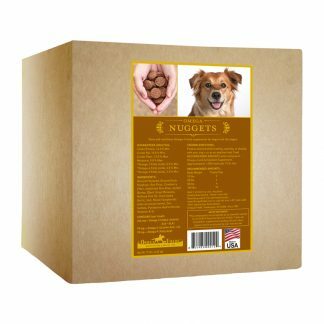 Omega Nuggets are a great tasting treat that’s good for your dog! They contain best ratios of the full spectrum of natural Omega EFAs – high in 3 &9 – lower in 6 – from human food-grade, stabilized flaxseed and fish oil. You can have confidence in the Premium, Human-Grade, Non-GMO, 99.9% Pure, Stabilized, Ground, Fortified Flax we use in our Omega Horseshine® formula. Pure Glean stabilization technology provides a stable, ground, fortified flaxseed composition as a rich source of Omega-3 in the diet. Pure Glean stabilization technology includes the inclusion of B-6 and Zinc when the seeds are going through the grinding process. Flax seed contains a natural B-6 antagonist, so B-6 needs to be added to ground flax. B-6 and Zinc not only enhance the stabilization of the essential fatty acids, but also fortify the ground flax seed with the nutrients used by the body when flax seed is being metabolized. 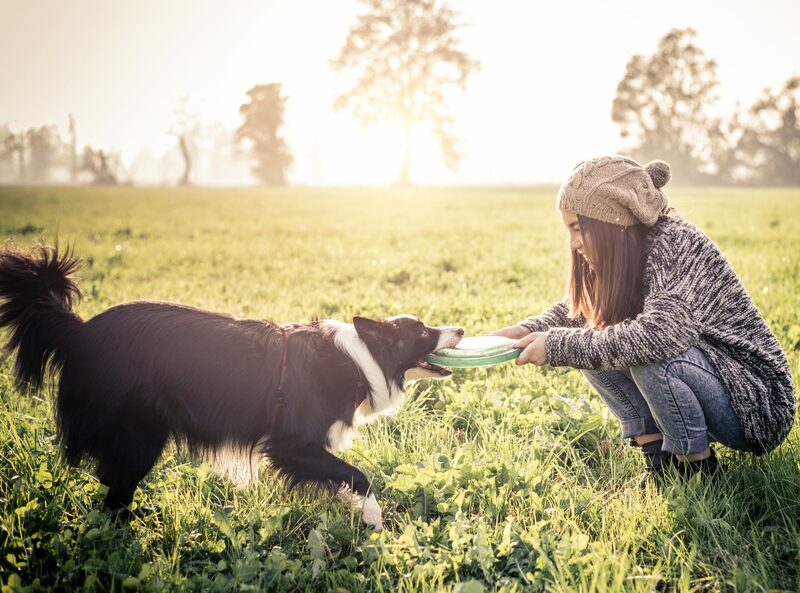 Feed as desired while training, working, or playing with your dog – or as an any time treat. Feed RECOMMENDED AMOUNTS when using as a Omega-3 and Antioxidant supplement. 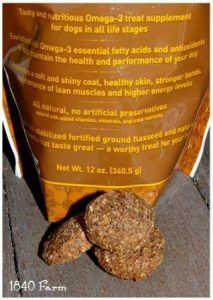 The stabilized, ground, fortified flax seed used in Omega Nuggets utilizes proprietary stabilization technology. 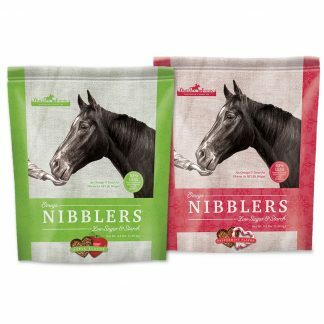 The powerful nutrients in Omega Nibblers® are locked in and guaranteed stable for at least 12 months with no signs of rancidity or loss of nutritional value. Best if stored in a cool, dry place. Availabe in a 15 lb. box (approximately 1,950 treats). I have a Lhasa Apso with severe skin allergies. He can only have venison or duck . Can he have your treats? Omega Fields canine supplements do not contain any meat. 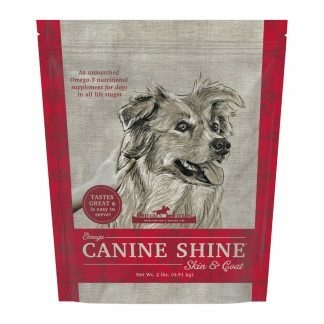 While we do recommend the Omega Nuggets as a super safe and tasty treat for your dog, we also recommend that you supplement your dog’s diet with Omega Canine Shine as well. Omega Canine Shine is very much recommended for dogs experiencing the intense allergic inflammatory reaction of itching and scratching. Please read below for basic information concerning inflammation and why Omega-3 is so beneficial. Basic Information Concerning Inflammation And Why Omega-3 Is So Beneficial: The membrane, or outer coating, of every one of the billions of cells in the dog’s body is unusually rich in Omega-3 fatty acids. In fact Omega-3 essential fatty acids are the structural fat that makes up this membrane and play a vital role in how cells function. When a cell is irritated or damaged by trauma such as skin conditions, allergic reactions, injury, surgery, disease, or when it begins to age — its membranes break down. As a result, compounds contained within the cell walls are released into the cell matrix. Some of these substances, such as histamine, give rise to inflammation and associated pain. Inflammation is characterized by one or more of the following symptoms: redness, intense itching, swelling, heat and moderate to severe discomfort. When skin becomes inflamed, your dog may experience any or all of these symptoms. 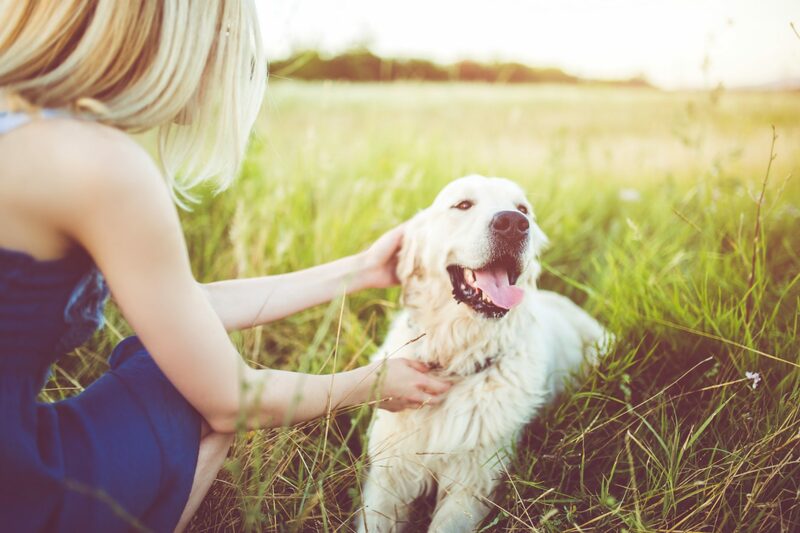 With skin inflammation, there will be extreme scratching and itching taking place that will cause the hair to be rubbed off and create sore, broken skin — as you have experienced with your dog. The powerful Omega-3 essential fatty acids in Omega Canine Shine and Omega Nuggets work by stabilizing the membranes of the cells, promoting healing of existing cellular damage and helping to prevent further damage. On a practical level, this means quality of life is improved, and you will see your dog experiencing freedom from the allergic reactions of scratching and itching. Supplementing your dog with Omega Canine Shine and/or Omega Nuggets assures you that he/she is getting the full spectrum of Omega-3s available for optimum health — from the Omega-3 naturally found in flax seed, and Omega-3 naturally found in fish oil. Please keep in mind that these are only our feeding suggestions or recommendations. We believe it is always advisable to check with your canine nutritionist or veterinarian concerning dietary changes you are considering for your dogs. 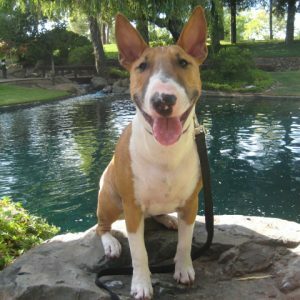 How much does it cost (on average) to give my dog Omega Fields products? Omega Canine Shine and Omega Nuggets are very smart buys! There are approximately 200 one-teaspoon servings of Omega Canine Shine in a one-pound pouch and 96 treats in a 12 oz pouch of Omega Nuggets! I am a new Golden Retriever owner, and I recently found out my boy is sensitive to chicken. He is also the PICKIEST eater I have ever met (I didn't know picky dogs existed until we got him!). 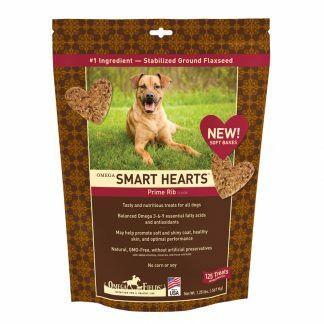 I was wondering if you could recommend any of your chicken-free dog treats for us to try? It's been a bit of a struggle finding a treat that doesn't have chicken or chicken fat in it. Also, is there someplace where it would be possible to get a sample, since he is so picky? Thanks! The Omega Nuggets formula is enriched with Omega-3 essential fatty acids and antioxidants to help maintain the health and performance of your dog. Omega Nuggets do not contain any chicken or chicken fat. Omega Fields does not provide samples. With that being said, please know that you are not at risk for throwing money away when purchasing Omega Fields’ products! Omega Fields is proud to have a 100% Satisfaction Guarantee and will be pleased to provide you with credit if your dog will not eat the products. Because our products are all-natural, the majority of dogs find them very palatable –but there’s always the possibility of a picky eater! The only thing we ask of you — is that you pass the unused product on to a dog-owning friend, so that someone else would have the opportunity to try out our premium products on their dog. Do Omega Fields products meet the AAFCO standards? * Our Gold Standard Quality Program begins with the selection of the highest quality flax seed to protect Omega-3 integrity and ensure palatability. Careful selection eliminates damaged seeds and minimizes microbial contamination. * A natural, proprietary processing treatment further ensures that our stabilized ground flax seed provides an all-natural, non-GMO, 99.9% pure, stable, fortified flaxseed composition as a rich source of Omega-3 in the diet. This mild treatment provides long-term stability and palatability, boosts metabolizable energy, and inactivates growth inhibitors typically found in whole grains. Note: The process is all natural, nothing is added, no chemicals, and the ground flax is kosher certified — stabilization consists of how we handle and process the seed. The finished stabilized ground flaxseed is a raw, whole food with full nutritional value. *Omega Fields’ food-grade facility manufactures to Global Food Safety Initiative standards for human consumption, employing a third party-validated, 5‐log Kill Step and proprietary stabilization processes for long shelf life. 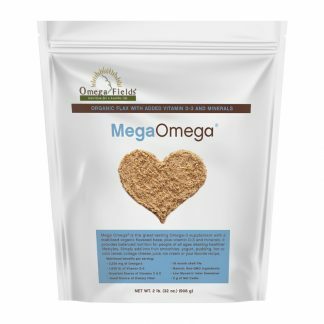 All Omega Fields flaxseed-based supplements are certified to SQF 2000 Level 3 standards, are guaranteed pathogen-free with very low total microbial values, and are guaranteed shelf stable for a MINIMUM of one year under ambient storage conditions – no refrigeration or special packaging required! SQFI (Safe Quality Food Institute) is a world-class, third-party auditing inspection program for food-grade manufacturing plants that establishes and recognizes a standard for consistency in food safety and quality criteria. The comprehensive SQF inspection includes annual audits of a facility’s food safety and quality programs, HACCP program, management systems, pest control programs, operational methods, personnel practices, buildings and equipment maintenance, and cleaning practices. This demanding audit procedure requires complete and continuous adherence to all standards to remain certified. In addition to SQF 2000 Certification standards, we subscribe to the In-Plant Food Safety and Hygiene Audit Training Program of the Department of Food Safety/Hygiene. * Flaxseed is contracted for and purchased from northern climate producers. Because of the rich soil and short, intense growing season — the flaxseed from northern climates contains a higher percentage of Omega-3. 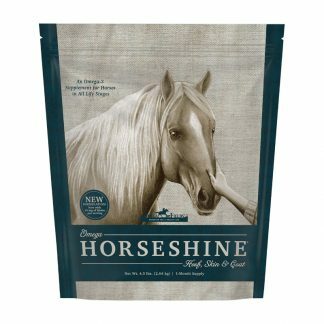 Can I give Canine Shine and Omega Nuggets to my cat, or do you have a similar product for cats? Currently we do not offer specific feline products — but I will pass your suggestion on to our product development team! 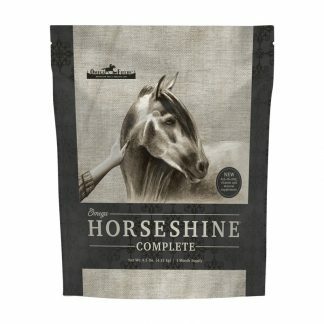 That being said – please continue reading for our product recommendations for your cats: Omega Canine Shine supplement and Omega Nuggets treats have unique formulas that would actually provide optimal health benefits for your cat. Both formulas have a base of stabilized, ground flax that is enhanced with a percentage of fish oil, antioxidants, vitamins and minerals. Omega Canine Shine and Omega Nuggets would be excellent choices to boost your cats’ diet with both short-chain Omega-3 (LNA) from the flax, long-chain Omega-3 (EPA & DHA) from the fish oil, and high levels of four all-natural antioxidants. Although we market Omega Canine Shine and Omega Nuggets for dogs — they really work quite beautifully on cats as well. The dosage for Omega Canine Shine supplement is 1/2 teaspoon for every 10 lbs of cat weight, so you would only need a very little bit of a sprinkle over your cat’s food. The recommended amount of Omega Nuggets treats is 2 for every 10 lbs of cat weight. Both are very rich in plant and fish-oil based Omega-3’s — so your cat is getting the full complement of Omega-3’s 6’s and 9’s. Plus the extra plant and vitamin based antioxidants really support optimal health. Omega Canine Shine can turn your regular catfood into a premium catfood, and Omega Nuggets may become your cat’s favorite treat! How do the Omega Nuggets eliminate hot spots? 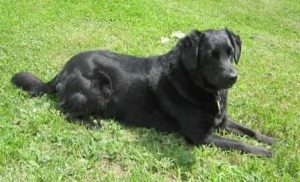 I love to give Kassie, our three-year-old black Lab mix, your Omega Nuggets dog treats, and she loves them. She really does enjoy Omega Nuggets! 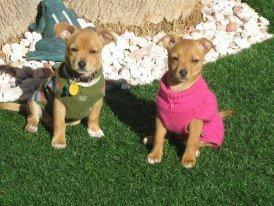 Please see the photo of our three flax loving dogs, yes it would be an Omega Fields Nugget they’re looking at, lol. Neighbors and strangers have commented on the beautiful shine the girls coat have. The vet has commented that most Yorkies have dental problems, but this little one has the cleanest teeth they’ve seen, we attribute it to the wonderful crunch of the Omega Fields Nuggets…that little mouth can make quick work of those treats! 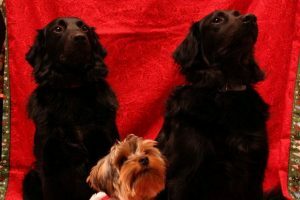 From left you will see Sophie, Jordan (the little Yorkie monster) in the middle, and Macie on the right. Macie and Sophie are actually sisters, 9 months apart and have been eating flax and Nuggets for two years this coming September. Their parents were farm dogs that lived about a mile apart, no leash or fence could keep them from each other…there were two litters, we have a dog from each. They are the most amazing animals I’ve ever had the pleasure of knowing. Our little Jordan is about 17 months old and as I said, she rules the roost, and has been eating flax and Nuggets for at least the last year. My black pug, Emma, constantly bit on the dry skin on her front legs. I finally came across Omega Nuggets via the web. I’m glad to say she doesn’t have dry skin anymore! Thank you, Omega Fields, for the quality products you produce. Our dog is without a doubt, so much better with Omega Nuggets. Who knew treats could give such a benefit!! We ran out of the treats so I had to give her the junk from the pet store and she immediately got all itchy and miserable – she has major allergy problems. I noticed the difference in her behavior within a week of giving her the “bad” treats. Dogs Love Their Omega Nuggets!!! My two 3 1/2 year old rescued dogs love their Omega Nuggets!!! Only the best for them!!! Pic is at 12 weeks old. Herding Farm Dog Loves Omega Nuggets More Than Cows! After a hard day’s work of herding cows, steers, and sheep – Annie knows that it was all worth it because at the end of the day she will be rewarded with Omega Nuggets. Even when she has been outside in the pasture and working around the farm – filthy with mud and dirt – her coat still shines. Everyone who see’s Annie asks how come she is always shiny and soft? I reply – Omega Nuggets and she actually has not gotten a bath in weeks! 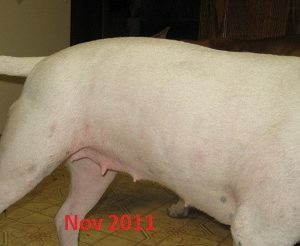 Omega Nuggets have made Annie’s coat healthy, kept her joints mobile, reduced her shedding and she has no hot spots. Annie is proud to be an official Omega Fields Ambassador. Usually we make Petey sit and give us his paw before we give him a treat. (Petey, siiiit, paaaaw, good boy! You know the routine…) Well when we first bought Omega Nuggets, Petey gobbled up his sample. Later that evening he did his “duty” in the back yard, (vs. the family room carpet) so I went to get him an Omega Nuggets treat from the cabinet. When I turned around, Petey was already at my feet, sitting pretty, with his paw already in the air. You had to see it, it was incredible!!! Loves Omega Nibblers & Omega Nuggets! I absolutely LOVE Omega Fields Nibblers and Nuggets. My dog and horse have shiny coats and can’t wait for their treats. My dog sits and looks at the container… “begging” and the horse runs in from the field to get his Nibblers! Time to make some for cats now too! My cat wants to eat the dog treats! 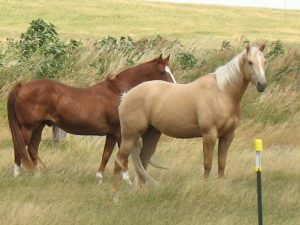 I have atached a picture of my Palomino and Sorrel quarter horse that both love Nibblers! My Palomino is so beautiful when he sheds out! I have put down the Sorrel gelding gelding last Fall, but I am convinced that he lived a better and longer life thanks to Nibblers. He had foundered and I know flax helped his feet the last few years. And his coat was beautiful. He was my copper penny and my golden palomino always looked so good in the summer grazing in the green grass!!! Yet To Meet A Dog Who Doesn’t Love! My Malinois cross loves Omega Fields’ Nuggets. I have yet to meet a dog who doesn’t. Even my friend’s tiny Shih Tzu loves the Nuggets. They take them in their paws and nibble on them like a squirrel eating a nut. It didn’t suprise me that my 55 lb. Mal X loved the Nuggets, but I didn’t expect the 9 lb. and 10 lb. Shih Tzuu to be able to manage them. It was a hoot to watch them. just now by Katharine H.
Bird Hunter Uses Omega Nuggets! As a dog owner, I am always looking for ways to ensure the good health of our dog Pete. Lucky for me, Pete is a willing participant. He happily indulges my attempts at grooming and eagerly eats the healthy food that I select for him. When it comes to the grooming, I would like to think that he tolerates my efforts because I am such a wonderful owner and he loves me so much. Deep down, I believe that his motives might not be quite so pure. In fact, he may be allowing me to give him a haircut because he knows what will happen when I am finished. He knows that I have an Omega Fields’ Omega Nugget ready and waiting for him. While Pete enjoys the flavor of these bite sized treats, I enjoy knowing that they deliver more than great taste. These Omega-3 treat supplements contain essential fatty acids and antioxidants in a delicious treat perfectly sized for use as a training reward. Omega Nuggets are made using human grade ingredients. They contain wholesome ingredients including ground flaxseed, barley, and molasses. These treats promote healthy skin and coat.and are all natural and don’t contain any artificial preservatives. Omega Nuggets combats dry skin & allergies! I’m writing to thank you for such a wonderful product. I have 2 dogs, both with dry skin and one with terrible allergies. I was looking for a healthy treat that coincides with their raw-food diet, which provides the omega 3s needed to combat their conditions. This works! My dogs love them and know exactly when it’s time for their treat. Thank you for such a wonderful product that I can trust! My dogs love Omega Nuggets cookies! The Best Treats in the World! Since Ares has been on Omega Nuggets his coat is gleaming! When I am asked what I am feeding him (quite frequently), I say “The best treats in the world”! Thank you Omega Fields!